​The Sunshine Coast region has long had a reputation for fine art. The wealth of exceptional artists gives rise to many great private galleries providing for a range of tastes and budgets, but always quality. The region is also home to many public galleries which also allow viewing of fine art from the region and beyond. 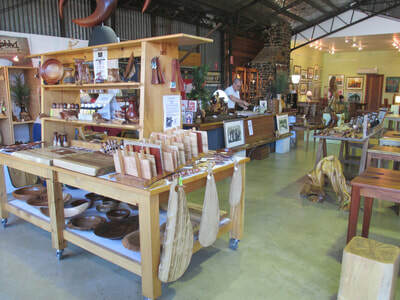 Artist studios and artisan galleries complement the great galleries of the Sunshine Coast. 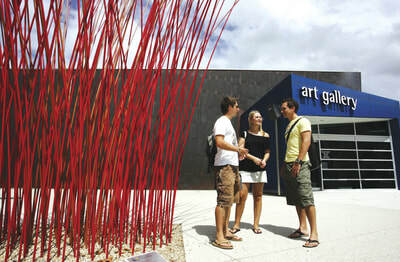 There are also many exhibitions and events associated the visual arts of the Sunshine Coast. ​Artworks include paintings and drawings in all mediums; photography and print making and extend into 3 dimensional art including ceramics and porcelain; hand blown glass; sculptures in bronze, sandstone and marble; wood; silk and textiles; jewellery and much more. There really is something to capture every imagination! This website outlines a trail to encompass many of the galleries. It can make for a wonderfully busy day, but better still, a leisurely week, enjoying the original Australian art on display and equally inspiring scenery and cuisine between stops. Each commercial gallery will happily provide more information about their artists and artworks and is adept at packing and shipping works. We invite you to enrich your life and experience another unforgettable aspect of this unique region. Art is truly the soul of the Sunshine Coast. Click on this map to see where the towns are located. 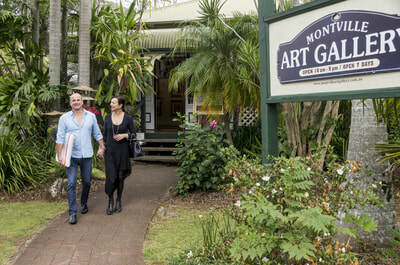 Click on the Facebook logo & 'Like' and 'Share' the Art Gallery Trail with your friends. ​This website is constantly being updated as new galleries and exhibitions are located. 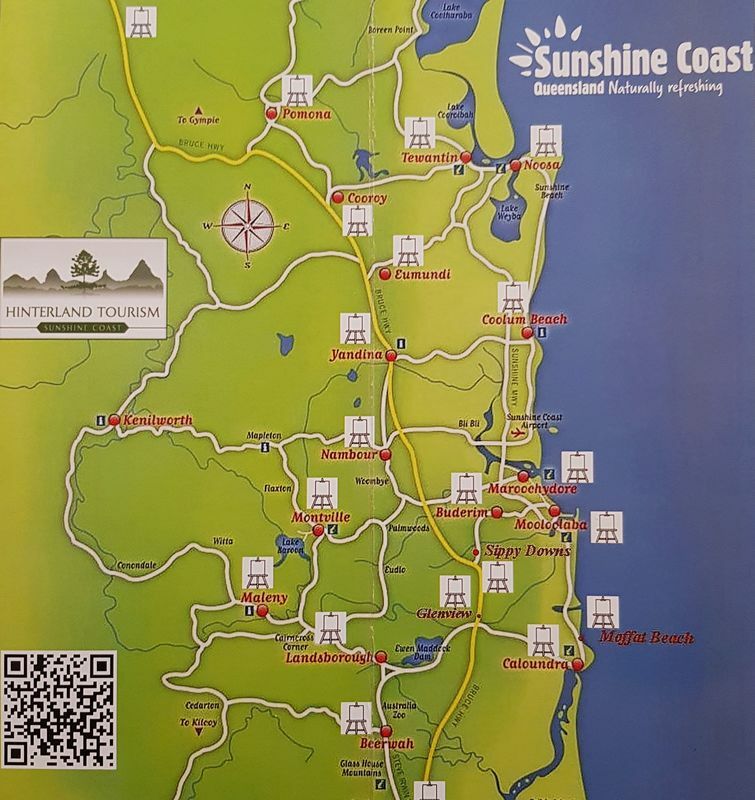 Click below for tourism information about the Sunshine Coast and its hinterland. For general enquiries about this website please use the 'contact form' at the top of the page.